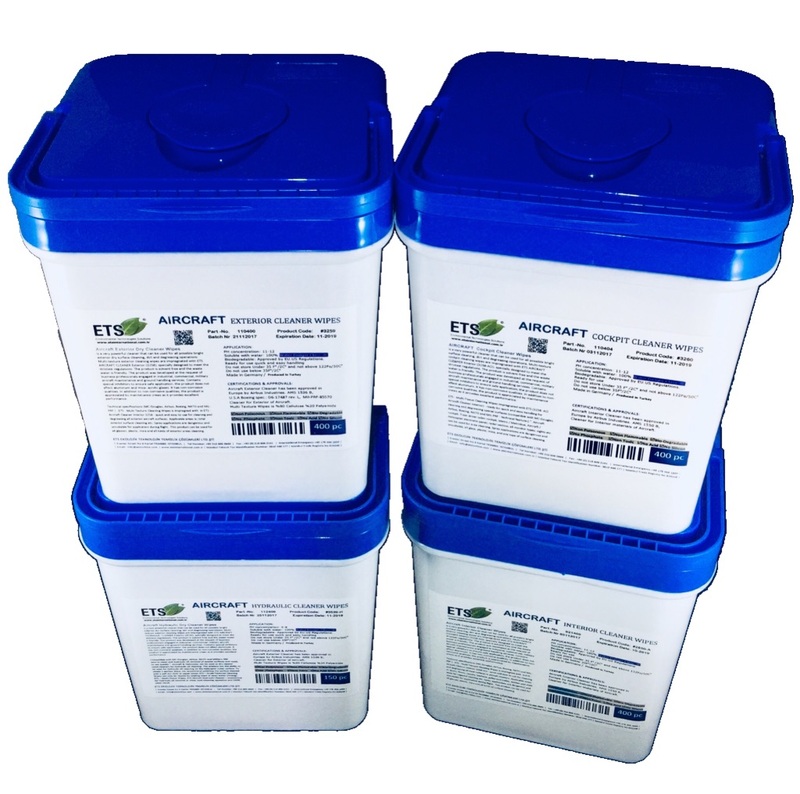 are impregnated with Aircraft Exterior Cleaner Wipes (comfirmed with SMI Miami USA, MC-Douglas, Airbus, Boeing, NATO and Military PRF – specifications) and specially designed as a ready to use for easy quick cleaning-degreasing of surfaces unsuitable/dangerous for spray applications spot cleaning of aircraft/helicopters, as well as cleaning of aircraft landing gears, turbine hydraulic oil leaking and as spot dry cleaner tissue wipes. Can be used as dry wash for exterior cleaning. We recommend to re-treat the cleaned surface with wet towel/cloth and dry with soft cloth/paper to obtain the shiny results. 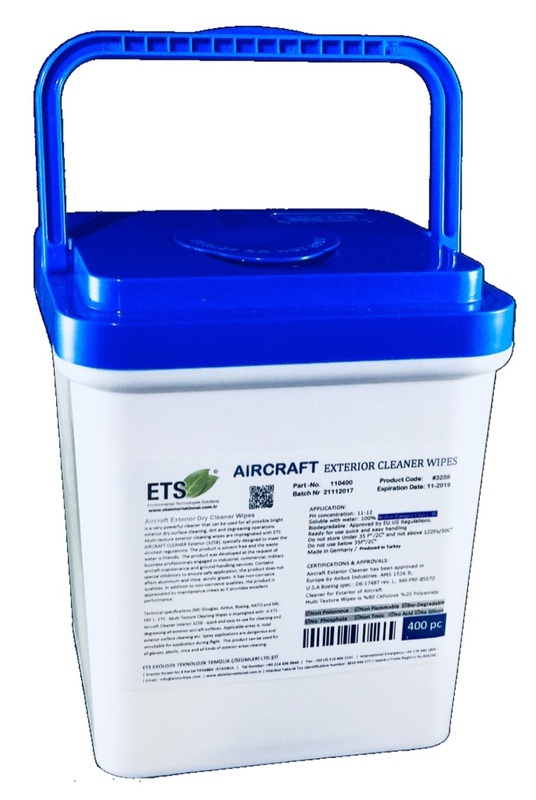 are impregnated with Aircraft Exterior Cleaner Wipes (comfirmed with SMI Miami USA, MC-Douglas, Airbus, Boeing, NATO and Military PRF - specifications) and specially designed as a ready to use for easy quick cleaning-degreasing of surfaces unsuitable/dangerous for spray applications spot cleaning of aircraft/helicopters, as well as cleaning of aircraft landing gears, turbine hydraulic oil leaking and as spot dry cleaner tissue wipes. 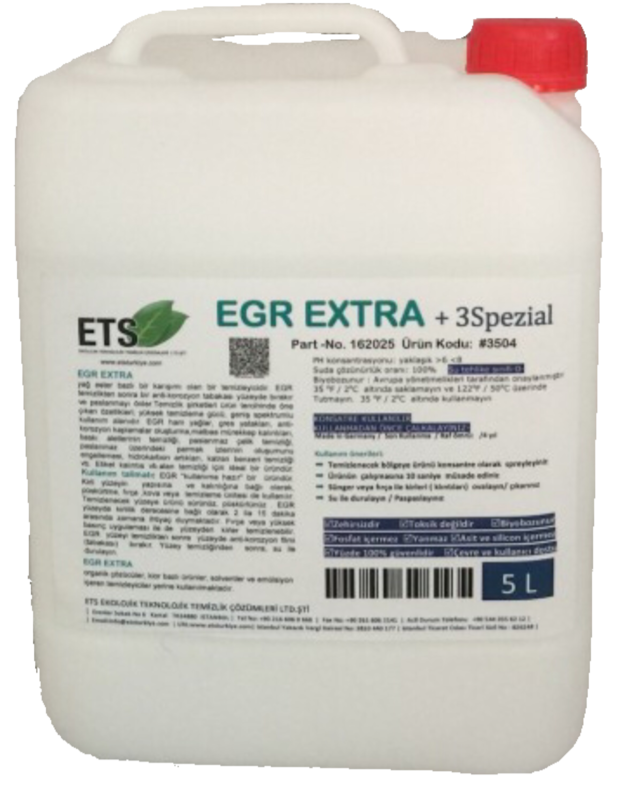 Can be used as dry wash for exterior cleaning. We recommend to re-treat the cleaned surface with wet towel/cloth and dry with soft cloth/paper to obtain the shiny results. 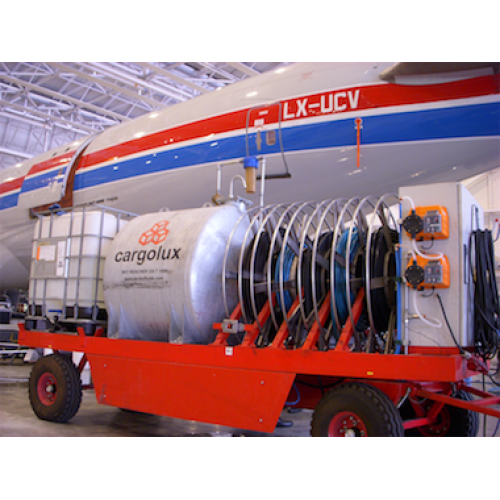 are impregnated with Aircraft Exterior Cleaner Wipes (comfirmed with SMI Miami USA, MC-Douglas, Airbus, Boeing, NATO and Military PRF – specifications) and specially designed as a ready to use for easy quick cleaning-degreasing of surfaces unsuitable/dangerous for spray applications spot cleaning of aircraft/helicopters, as well as cleaning of aircraft landing gears, turbine hydraulic oil leaking and as spot dry cleaner tissue wipes. 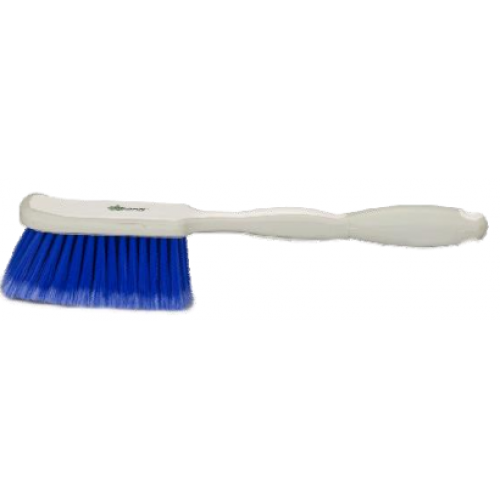 Can be used as dry wash for exterior cleaning. We recommend to re-treat the cleaned surface with wet towel/cloth and dry with soft cloth/paper to obtain the shiny results. 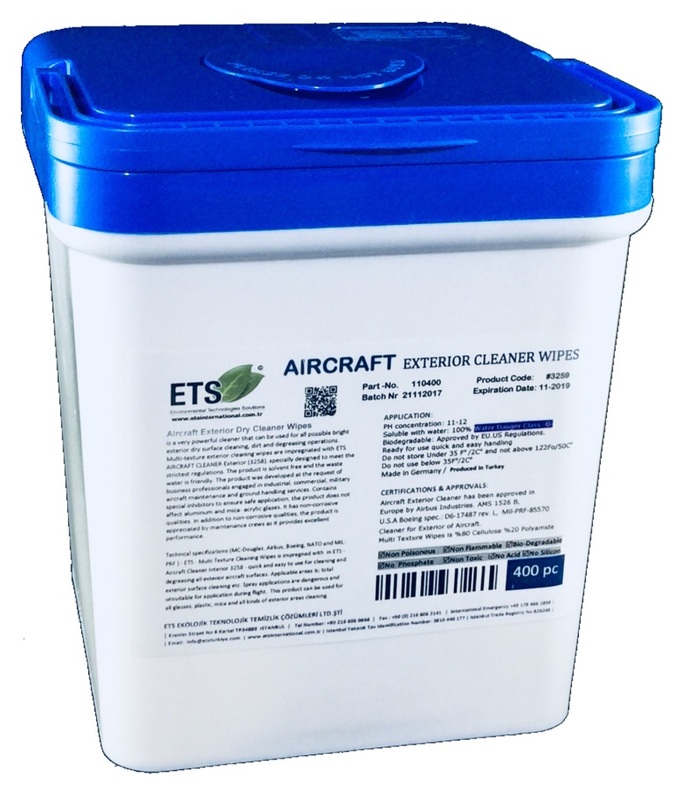 The Aircraft Exterior Cleaner Tissue Wipes are re-useable by wetting it again simply with clear water. 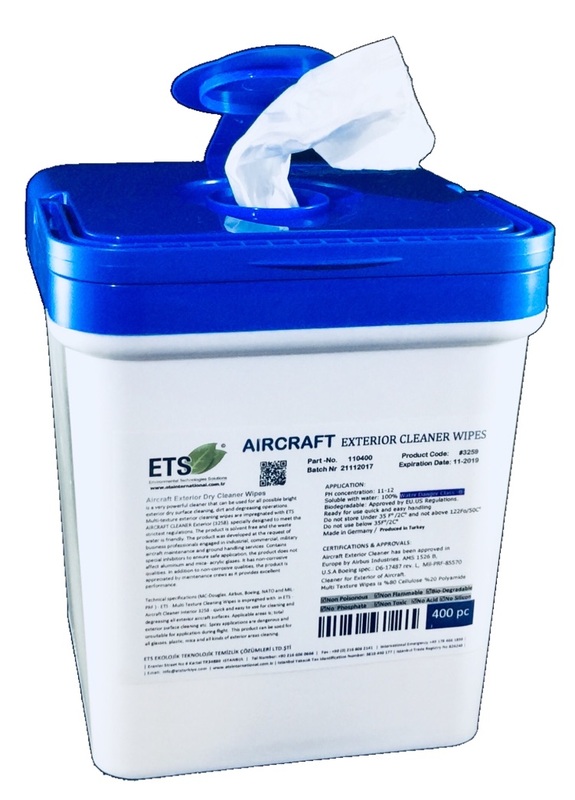 Furthermore Tissue Wipes are also available with ETS – Aircraft Exterior Cleaner Wipes concentration for 100% degreasing and cleaning for home use or any other industry. As for as you notice in the MSDS (Material Safety Data Sheet), it is recommended to wash hands with any kind of soap to degrease the skin and skin care- protective lotion/cream prior to use.